Home | Dermatology | Why Are You Losing Your Hair? Androgenetic alopecia sounds like a deadly disease, but it actually means hormonal hair loss, and it is experienced in both sexes. The causes and patterns of baldness differ greatly in men and women, as do the treatments. The normal amount of hair loss is approximately 100 hairs a day, unnoticeably. When it is more than that, it’s time to seek help. As many as two-thirds of women experience alopecia. This includes bald spots, as well as thinning of the hair. Female hair loss patterns usually appear at the line where they commonly part their hair and progress from there. They don’t normally experience the receding hairline that is common for men. This usually occurs after menopause, and total baldness is rare. There are three classifications to describe the loss of hair in women. Class one is a minimal loss at the part line. Class two is a noticeable loss with more scalp visible at the part line. The third type is a thinning of the hair throughout with very evident hair loss and more scalp showing. Male pattern baldness is the most common reason for hair loss in men. It is hereditary, but don’t blame your father; your mother is the most prospective source. This form of baldness can start as early as puberty – leaving teenagers with bald spots or receding hairlines. Typically, the first observation is seeing more forehead than hair, due to a receding hairline and creating the expected M shape. The temple areas are affected next, followed by the crown. The hair may be present but the follicles are getting smaller and the hair is so fine it’s barely discernible. Eventually, the total volume of hair will diminish without treatment. Androgenetic alopecia is hormone related and the most common cause of hair loss in women and men, only the design varies. 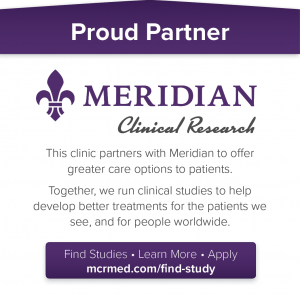 It is often associated with other medical conditions such as obesity, diabetes, heart disease, and prostate problems in men and polycystic ovary syndrome in women. Thyroid and vitamin D levels can affect hair growth or loss as well. Alopecia areata is an autoimmune disorder leading to hair loss. It usually begins with a few small patches of baldness and can progress to total baldness including body hair loss. It is not gender specific and may occur during childhood. Regrowth is normally successful with proper treatment. Many diseases or disorders cause follicle scarring and thus hair loss. Trichotillomania is an emotional disorder causing patients to pull their own hair out, leaving scar tissue in place of the healthy follicle. Sarcoidosis and lupus are also known to scar the area killing the follicle growth. 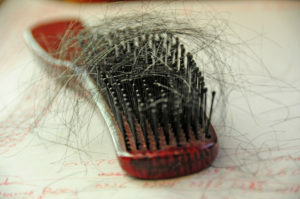 Stress or a severe emotional experience has been known to cause temporary or permanent loss of hair. Scalp infections, ringworm, or even hair styling techniques can be a major contributor to hair loss. The treatment of hair loss has expanded greatly over the past decade. There are numerous options available depending on the cause of hair loss. Only your dermatologist can provide the best recommendations.